In the same page you will also find the option that allows you to create new fields, entering the name and clicking on Add Field. “Type” – Allows you to chose the type of the field you are going to create, including text, password, multiple selection, date, time, title. 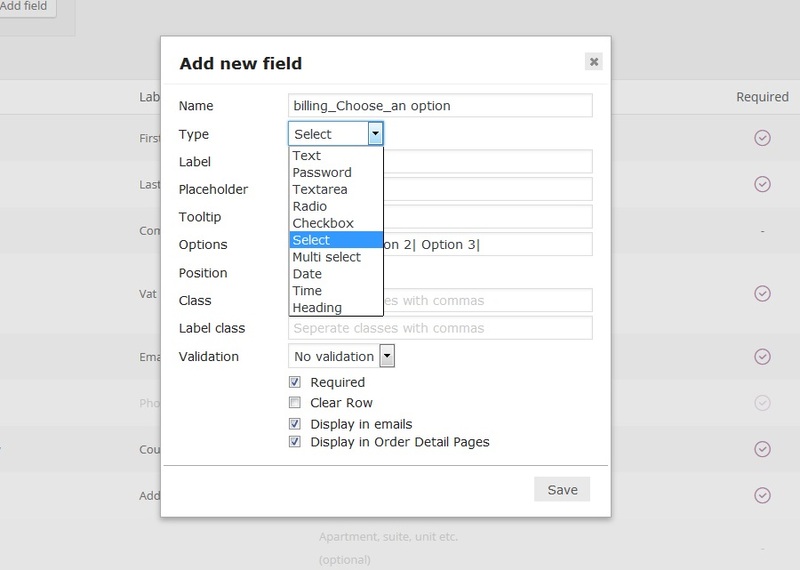 “Display in emails” – Chose whether or not you wish yo display the field you are creating in the order email as well. “Display in Order detail pages” – Chose whether or not you wish to display the field you are creating in the summary page as well.